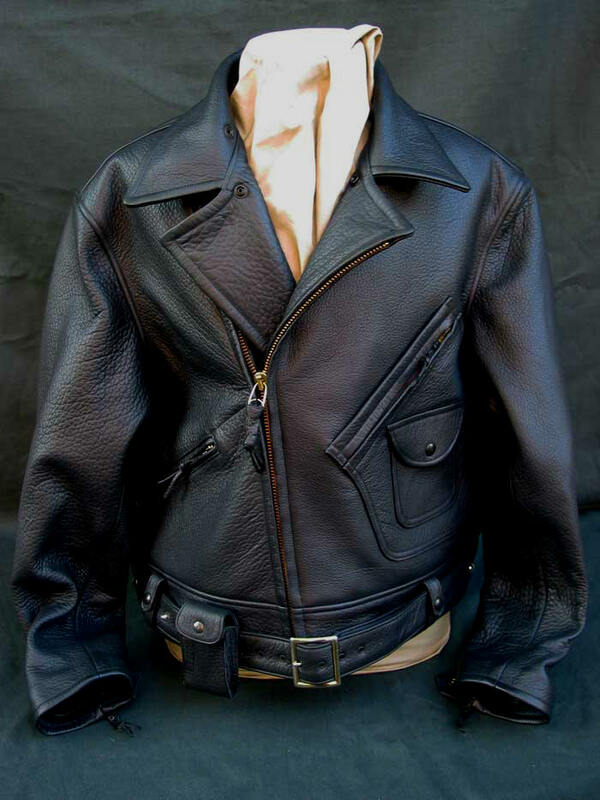 Custom Order Trojan Motorcycle Jacket, Black Horsehide, showing original Crown and Coats and Clark NOS vintage zippers. Optional Horsehide studded Belt. 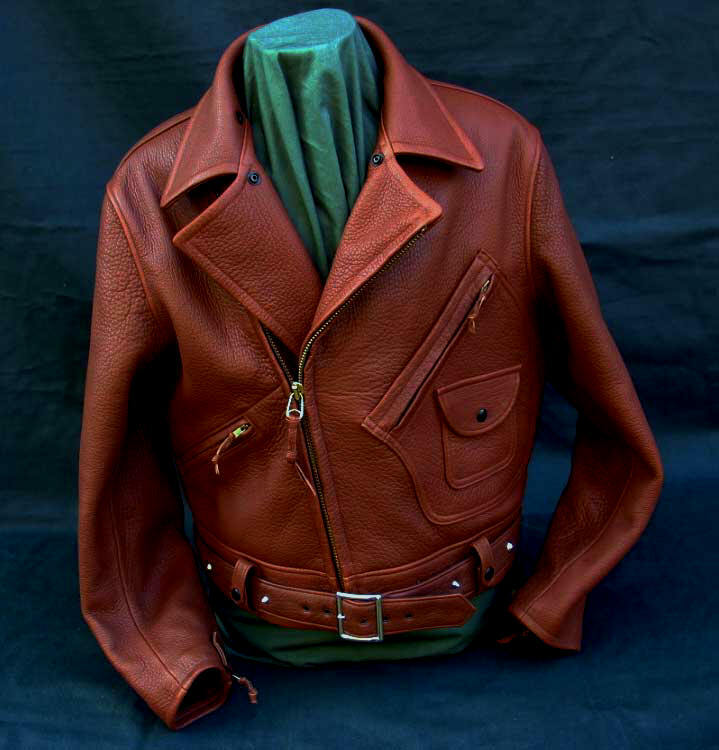 The TROJAN is one of the purest, rarest and most beautiful vintage motorcycle jackets ever. In our view a peak of vintage American motorcycle design. Originally manufactured in postwar Southern California, it is bedrock functional, without frills or add-ons. This brilliant classic was used by serious riders, frequently post-WWII vets addicted by death and combat to crave danger and challenge. Not a poseur among 'em. For a fascinating, regrettably quick shot of the old Trojan factory in LA, watch carefully the first fifteen minutes of the noir classic THE STREET WITH NO NAME (1948), based on fact and filmed on location: the undercover Fed Mark Stevens leaves his skid row hotel and next to it, believe it or not, is the Trojan shop front! 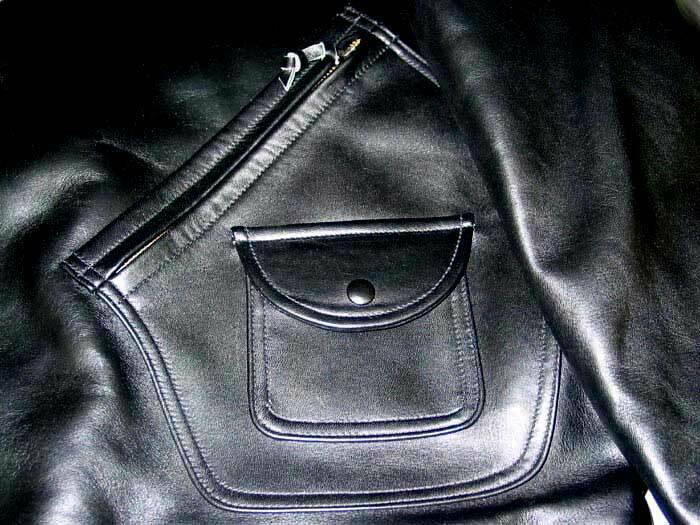 Consider above the elaborate and complex "Holster" shaped Twin Pocket construction on the left chest -- how extraordinarily precise and visually striking our workmanship is. The quality and details will astonish you. Made by a single paramount craftsman at our NYC factory, of course. Nothing, at any price, compares. 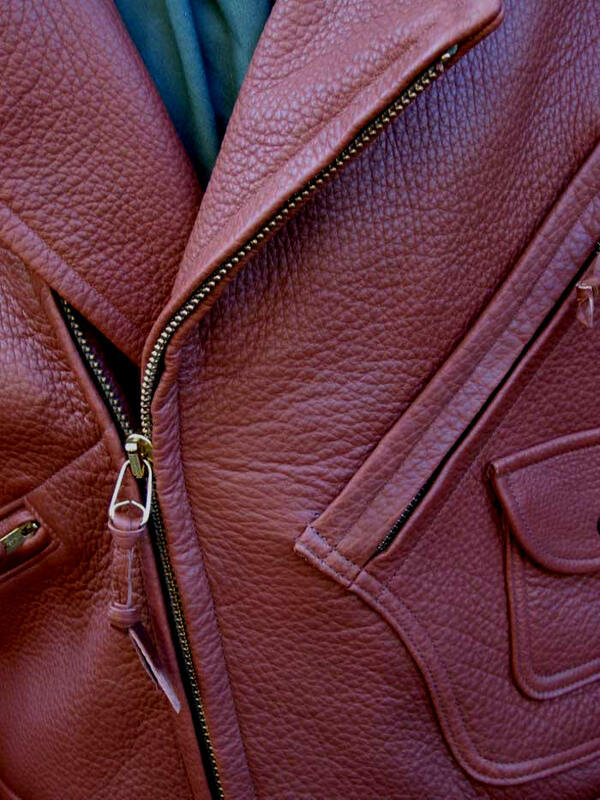 A Jacket of almost unimaginable durability and strength. Yet, when the miles pile up, it softens like butter, articulating the matchlessly beautiful pure Horsehide grain. 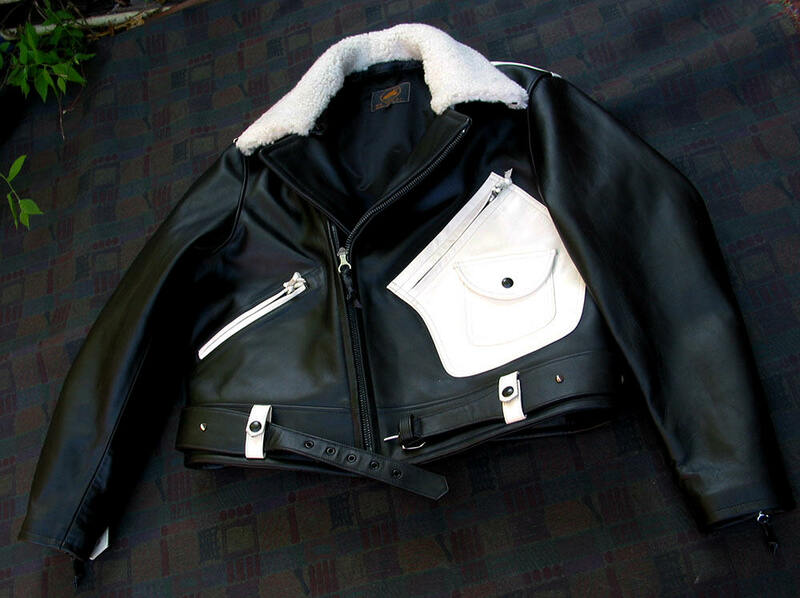 For those who know, there's Horsehide, then everything else, no matter how good. 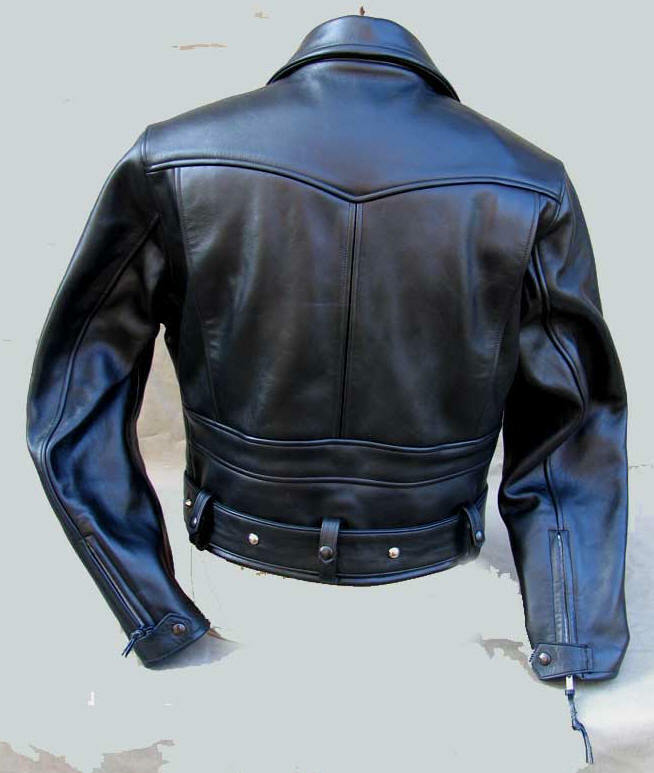 (But BEWARE: there's true, primo Horsehide -- LOST WORLDS exclusive, peerless Horsehide -- and many other wholly different grades out there. 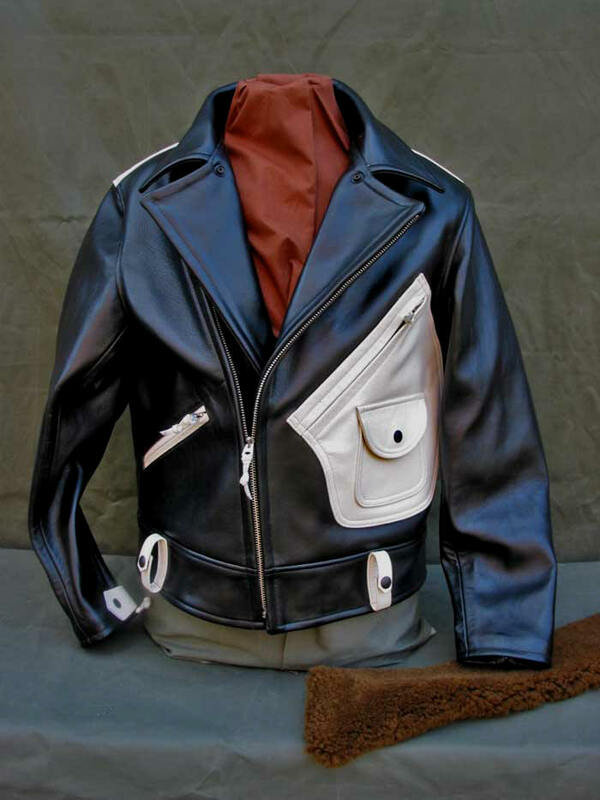 Just because it's Horsehide doesn't mean it's good -- sometimes it doesn't even mean it's Horsehide!!!) Expensive? Only, perhaps, until you see it. Then customers understand how reasonable LOST WORLDS jackets are. Diehards call us "cheap at the price." We're sure you will too. For those for whom Authenticity is not mere marketing cliche, attached to whatever files down the assembly line. For those for whom Authenticity is a word of almost religious power and integrity. With removable Mouton (Lamb Shearling) Collar. In our signature famed 4+ oz. 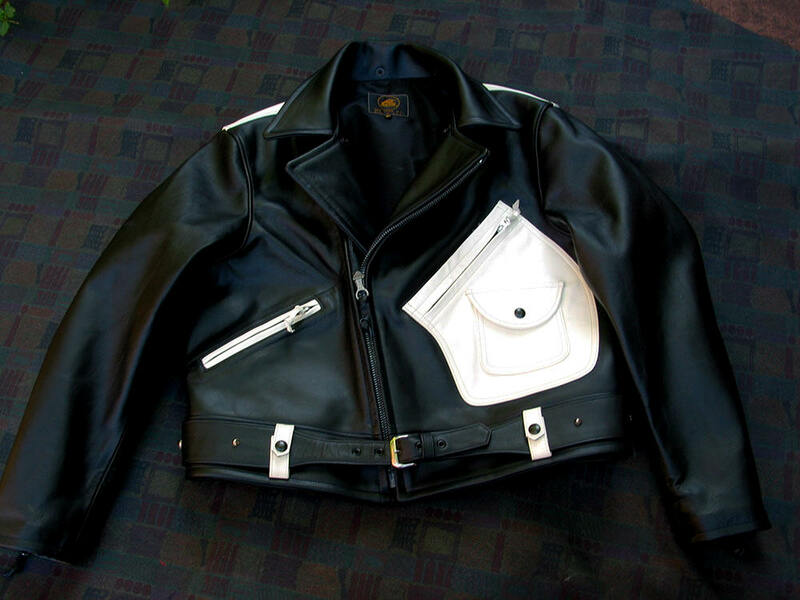 Chrome-Tanned, Drum-Dyed Heavyweight Black or (Limited) Cream Horsehide. Pure Heavyweight Nylon Satin Lining; 100% Cotton Drill Interlining (for wind resistance/insulation when riding), Brass Talon Zippers. A Custom graduated-width Horsehide Belt is avail. (See topmost picture above.) 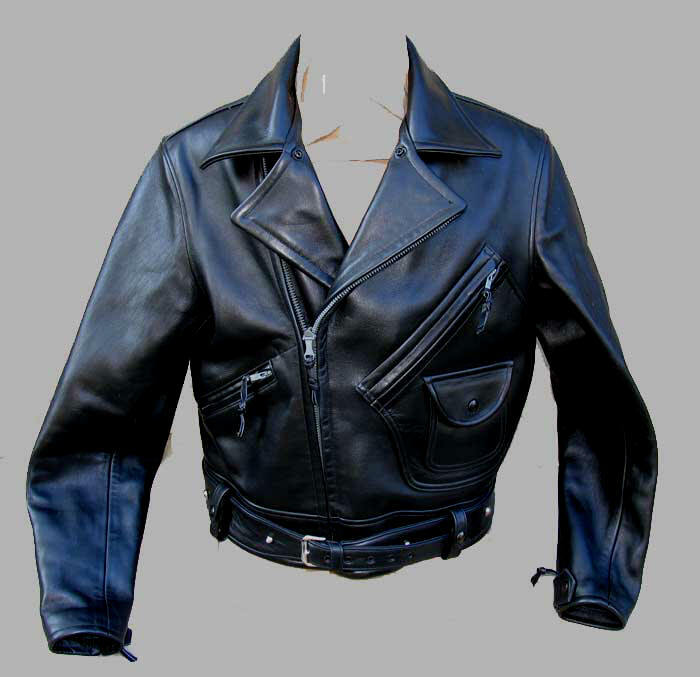 The original Jacket came, for police and civilian applications, without an attached belt so the rider could choose his own. 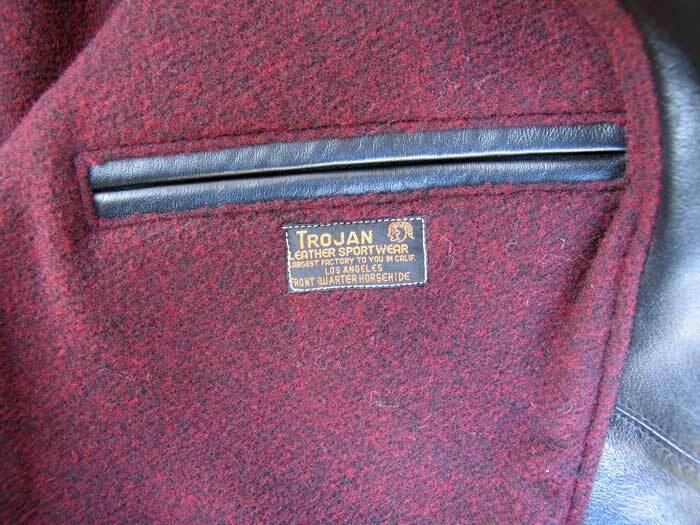 "Trojan received today, what a piece of craft! 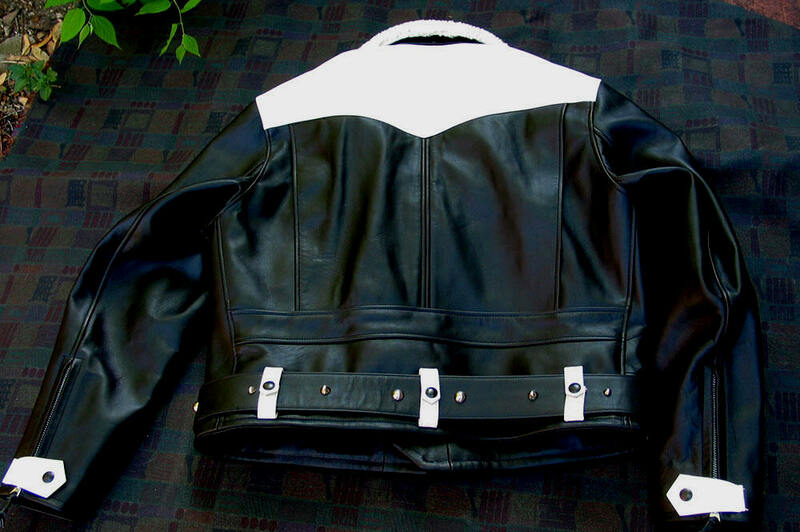 Thank you very much and best regards,"
Rear Construction, Trojan Motorcycle Jacket.